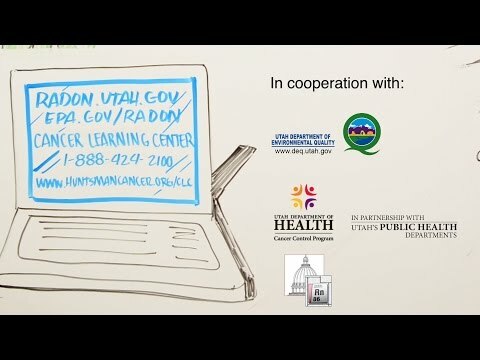 What Are The Health Effects of Radon Gas? As you breathe, radon decays within the lungs releasing small bursts of energy particles (radiation) which can cause lung damage and cell mutation. Cancer is formed when mutated cells multiply. Radon is second only to smoking cigarettes as the leading cause of lung cancer deaths In America, killing more than 21,000 people every year. Those at the highest risk include children, (because their lungs are still developing), smokers (because of the multiplying effect), people that spend most of their time indoors and anyone exposed to high levels of radon. All radioactive elements break down (radioactive decay) over time through a process measured in half-lives. As these elements break down, they actually create entirely new elements, each with its own specific half-life. Each time a new element is created, it releases more radiation. The faster this occurs, the more radiation is produced. As radon breaks down, it creates other radioactive elements called radon progeny or daughters - each with even shorter half-lives that break down again, again, and again in half-lives from minutes to just fractions of a second. Each time an element breaks down, it explodes with radioactive energy strong enough to form a small crater on glass when observed through a microscope. If these explosions occur within the human body, for example while breathing, the radiation can be deposited on a cell, either killing it or forcing it to repair itself. Fortunately, cells often do an excellent job of repairing themselves but sometimes, the DNA structure within the cell changes. The mutated cell then begins to multiply and cancer begins to spread. The more cells that are exposed to radiation, the greater the risk of cell mutation. Children's cells are still growing and changing rapidly so they are at the greatest risk as well as anyone who spends a great deal of time at home. Unfortunately, the human body does not produce symptoms or warning signs to alert us when being exposed to radiation. 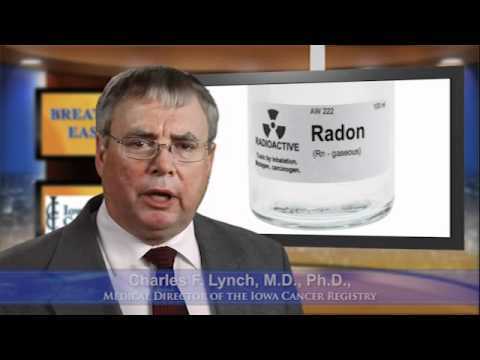 Radon causes cancer, but does not cause headaches, nausea, or other feelings of ill health. Most people won't know they have cancer until they hear it from their doctor. The only way to know if your family is being exposed is to test.